Many people use them for training in the UAE but what are kettlebells? Kettlebells - what and how are they used in your personal training sessions in Dubai? Small, compact but very effective - kettlebells are widely used by personal trainers and can also be found in any gym in the UAE. Kettlebells are an item of exercise equipment but for anyone in the UAE who doesn’t know what a Kettlebell is can you describe what it is and how it is used? How do Kettlebells compare to using something like dumbbells for example? Are there any benefits to using one or the other? Kettlebells feel slightly different to dumbells. Due to the large handle and weight balled into one position it is easier to swing and gather momentum with for certain movements. Dumbells however can be more comfortable for other exercises as it will not swing or turn around in your hand bumping into body parts like wrists. What kind of training can be done with Kettlebells, for example strength, endurance etc? All kinds of training can be done with kettlebells it just depends on the programme design. For instance a heavier kettlebell with lower reps can help with strength and power but a lighter one with higher reps can help improve endurance. When using Kettlebells in your personal training sessions in Dubai what are your favourite Kettlebell routines and can you explain how these routines help? For my PT sessions in Dubai I like using kettlebells as part of a circuit exercise as it is a fun variable to fling in for people. To get a full body hit I like 30secs max Thrusters, max KB Swings and max Deadlift into Upright Row. 45secs rest and repeat x5-10 depending on fitness levels. This works the full body and keeps you moving really testing your muscles and cardiovascular capabilities. Can using Kettlebells also help with other aspects of fitness like weight loss and endurance etc or are they primarily used as a weight training tool? Of course. With weight loss personal training the key goal is to expend more calories than you intake. Any form of exercise will help burn off calories and as you increase intensity you can increase calories burned so they can definitely help with weight loss. I wouldn’t say however that a KB has a primary use. As I said before it can train all aspects depending on how it is used. Because Kettlebells are ‘weights’ are there any restrictions or precautions that people in the UAE should be aware before starting to use Kettlebells on their own or as part of a supervised personal training programe? As an experienced PT I would always recommend with almost all training styles that they are supervised or advised by a professional before starting. This can help them select adequate weights and get technical points and restrictions to certain exercises depending on their abilities. This can reduce the risk of injury vastly so never hesitate to ask for help. Nick is a general fitness expert who can use a wide variety of exercise and workout plans to help you acheive all your fitness goals. 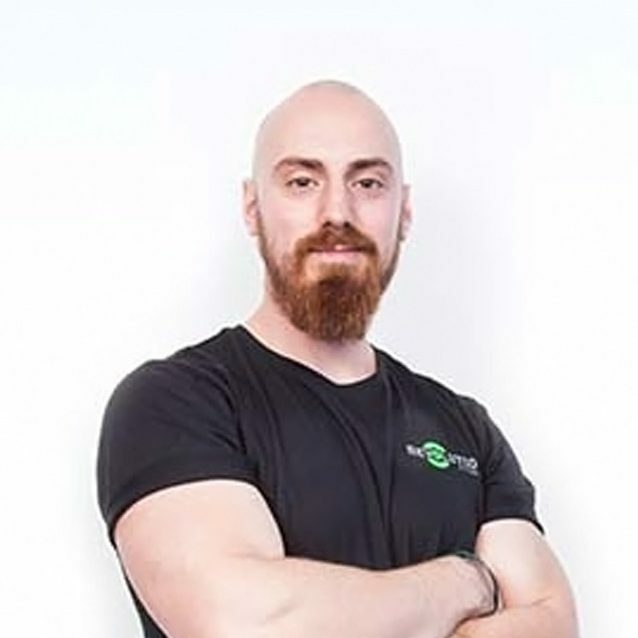 If you are new to fitness training, Nick’s friendly attitude and passion for exercise and healthy living will make you feel comfortable with your new training plan.